We organize our system to follow the flow of the mortgage process. Too often, companies try to organize policies and procedures by "topic" which works well for the writer, but not for the individual whose job it is to follow the procedure. In addition, "topic-by-topic" organization leaves many unanticipated gaps, because there is no rational transition from one topic to another. Our "function specific" modules allow you to ensure that no step gets left undocumented. 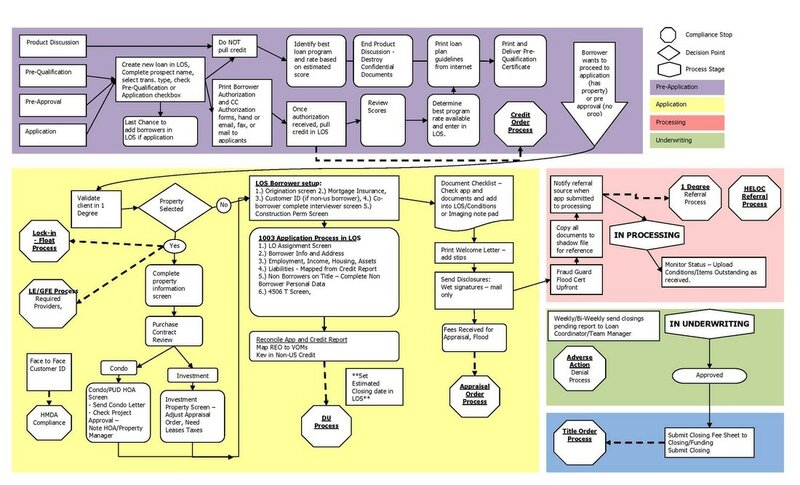 The mortgage process involves myriad steps, personnel, vendors and procedures. Beginning with the first customer contact to the set-up of the loan in servicing, an individual loan file comes into contact with 20-50 different employees, vendors and service providers. Organizing the process in a way that makes sense is a real challenge. Our Modular Mortgage Compliance System allows you to go function by function and address exactly how you will comply. In addition, when conducting operating auidits, yoou already have put your process in place, so it simply a matter of verifying that personnel execute the steps as outlined. Our modules are function specfic, integrating process management, quality control, compliance, training, human resources and vendor management within each module, only as it applies to the position. This means each business unit has its own self-contained business management system. Managers can hold employees accountable for their job responsibilities. Compliance can ensure that operational procedures are being carried out in a verifiable way. We have broken the modules into position specific documents, each of which has a specific management path. 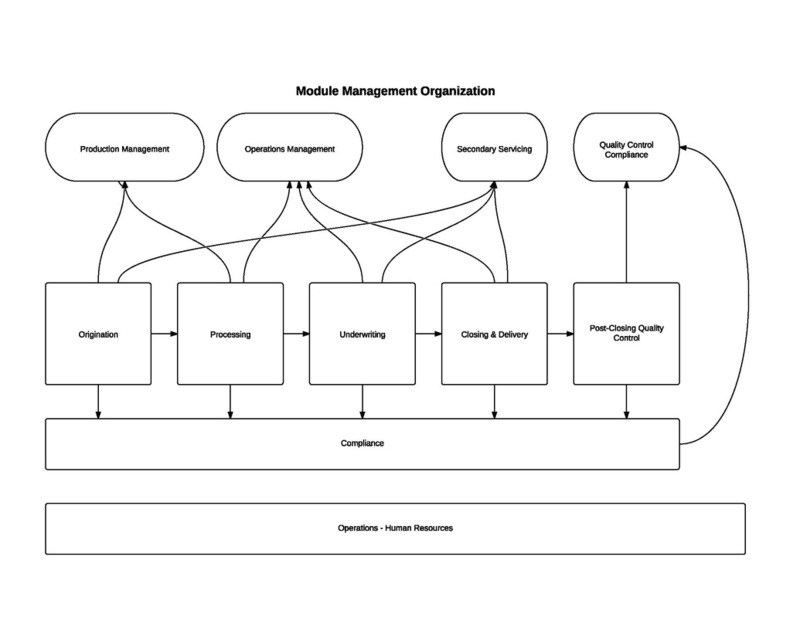 This diagram shows the organization of the modules and how they might be assigned to managers in an organizational chart.